The Goal of the Federation is to safeguard the art of Krav Maga, protecting it now and in the future. The art taught by KMF instructors is of unparalleled quality. 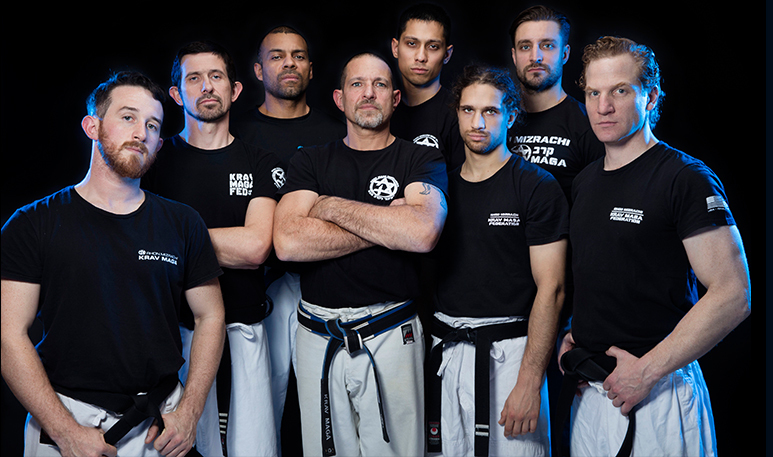 Rhon Mizrachi’s Krav Maga Federation is comprised of Full Instructors who are dedicated to teaching the art maintaining Rhon’s high standards and requirements. Federation instructors are closely connected to Rhon and to each other due to their years of training together. Loyalty and mutual respect make the Krav Maga Federation a family. 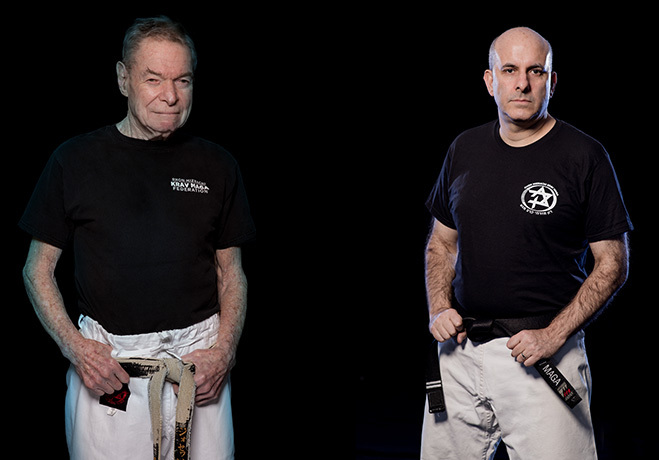 Their relationships create a solid foundation for the protection of Rhon’s legacy and of the art of Krav Maga. 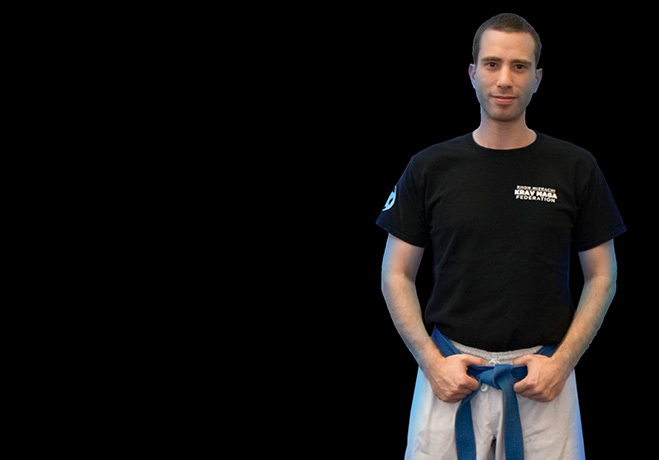 Instructors and students of the Federation are intensively trained in the material and are aggressive fighters. Specific requirements were created by Rhon and strictly adhered to, following those that were created by founder Imi Lichtenfeld. Rhon and many of the Krav Maga Federation instructors have trained in, or continue to train in, other styles of martial arts (MMA, Muay Thai, Jiu Jitsu, Judo, Shotokan and boxing) but what is taught at every Federation school is Rhon Mizrachi Krav Maga. Unlike many martial art organizations, Rhon’s Federation is not a franchise. There are no short cuts to achieving instructor status. Beginner students do not participate in the training program. Neither payment in exchange for rank nor “ behind the back” ranks are given. Unqualified practitioners damage the reputation of the art through mis-representation of their background and ability. It is against such corruption that the high standards of Rhon’s Federation maintain and protect the art of Krav Maga. 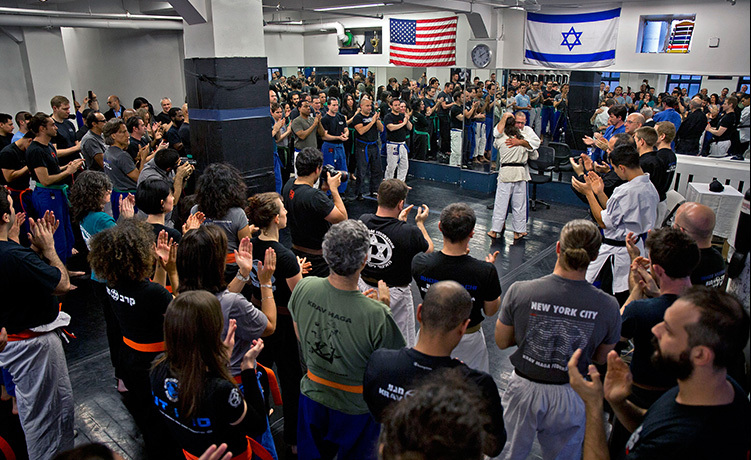 Initially, the Krav Maga Federation was a sister organization to Grandmaster Haim Zut’s Federation in Israel. were new requirements being implemented. Rhon felt that while these requirements made sense for the schools in Israel, they were detrimental to his students, instructors and school owners in America. Based on these newly implemented requirements, Rhon split from Haim’s organization. This was not an easy decision; Haim was his teacher and he knew that their relationship would be permanently damaged. KMF schools have always been financially independent and would remain so. Moving forward, any instructor who opens a new school has the ability to be an “ affiliate” vs “member”. Affiliated schools are not required to follow the requirements that KMF members must follow. If a school owner/instructor continues their own training with Rhon and has their students tested by him (or another KMF Full Instructor), they may be members. If not, while Rhon is and will remain their teacher, without following these requirements they may not represent themselves as KMF members. An affiliated school is one whose instructors were taught by Rhon, hosts seminars that Rhon teaches, but does not (for a variety of reasons) continue their own training under Rhon. “My relationship to my students is the only thing that matters. I won’t force anyone. People are entitled to go their own way, they can grow without being forced into doing things they don’t want to do. What, I’m going to tell a school owner who has extensive knowledge in another art that he can’t teach that at his own school? No. That his students need to pay me? No. That someday the next generation at my school may force them to change and follow new guidelines that make no sense for them, that limit their ability to have a school? No. The only thing I will force is that they will not be members if they stop following my requirements – which is fine, they have that right. It’s a good thing, it’s the right thing. We’ve already lost one friend because there were rules they didn’t want to follow. I’m not doing that again. You don’t have to follow our rules – but if you don’t you can’t be a member of my Federation. Use your own logo, don’t have me test your students, whatever you want. I’m still your teacher – there’s nothing wrong with doing that. I’ll still teach seminars for you, I’ll watch you teach, whatever. 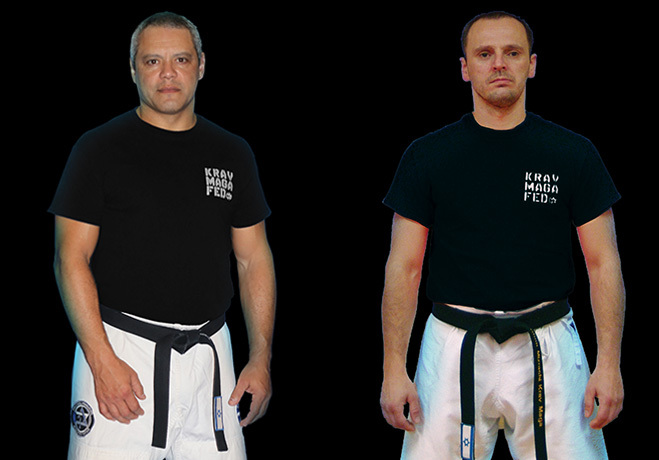 In 2014, Rhon’s highest ranking Federation students and instructors held a ceremony publicly recognizing him as the Grandmaster of the Krav Maga Federation. Eve Gold, co-owner of the KMF NYC flagship school, functions as the Federation manager and is responsible for ensuring that Rhon’s guidelines are upheld throughout the organization. 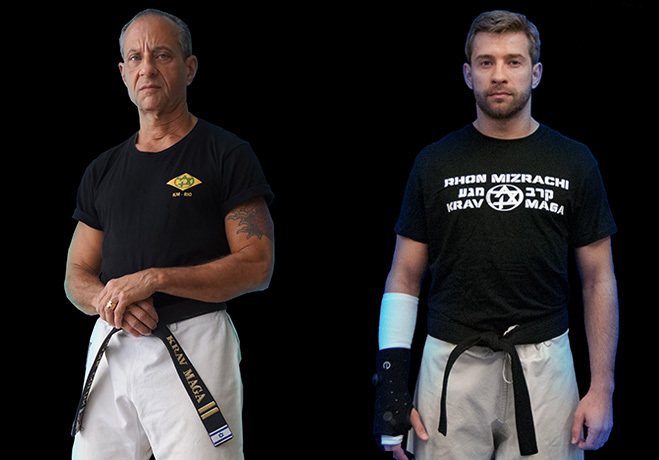 Rhon and his instructors are dedicated to teaching the pure art of Krav Maga. His demanding Instructor Training Program develops superior teachers. Being able to teach for Rhon and represent him involves years of commitment. There are no “instructor certification” courses and no short cuts to becoming an instructor. The program is offered to students who hold the rank of Green Belt (with a rare exception), and an invitation to participate is required; it is not enough to hold the rank. All candidates are students of the Federation schools. During the initial 80 hour portion of the training course, basic material is broken down to give students an understanding of how techniques are taught and why they are taught that way. The course is challenging both physically and mentally. As the course progresses, participants demonstrate their teaching abilities to their fellow students by preparing and teaching a mock class. Following the class, each participant is evaluated by Rhon. As part of the course, participants work as an apprentice to a Federation Full Instructor assisting in demonstrations and “walking the mat”, helping students with their techniques. 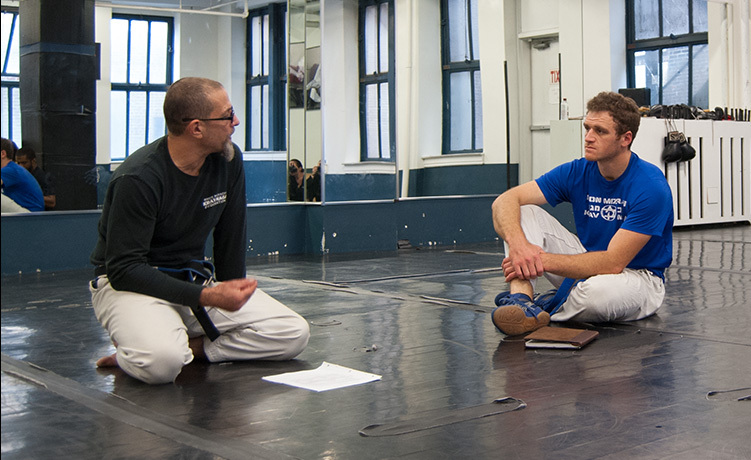 This practice allows instructors in training to develop as teachers, and is a necessary step towards teaching Krav Maga. During this period Rhon continues to evaluate the student’s development. Students participating in the program progress at different rates. Some are allowed to teach parts of classes run by full instructors, or to assist instructors during regular classes, rather quickly and some may take more time. There is no beginning and end date to the training program. Once the initial part of the course is completed, a participant may choose to continue on the path toward becoming an instructor or may decide not to. 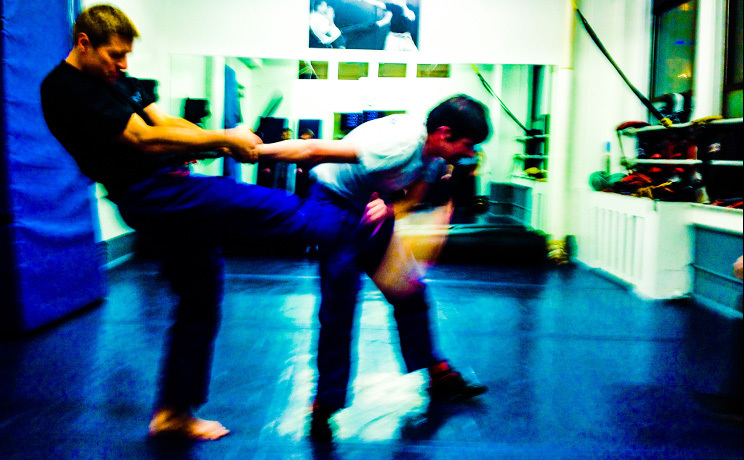 There are students who take the course just to deepen their understanding of Krav Maga. 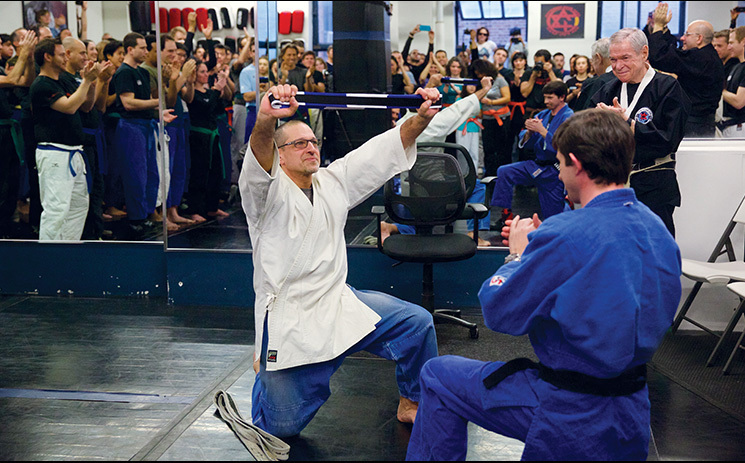 Students who have participated in the first part of the Instructor Program, completed the supervised teaching requirement, and continue training may be allowed to teach before reaching the Black Belt level – however they are not yet Full Instructors. Because of these requirements Rhon Mizrachi’s Krav Maga Federation provides the highest caliber of Krav Maga instruction. Teaching martial arts is unregulated in this country. The quality control that we have lies within the Federation; Rhon sets the highest bar for his instructors. All Federation instructors are dedicated Krav Maga practitioners who have trained in the art under Rhon for many years, having been “raised on his mat” in the art of Krav Maga.